It can be difficult to decipher the ingredients lists on packaged foods that contain added sugars; there are many different kinds of sweeteners and many different names for similar sugars. For instance, dextrose and sucrose aren't the same thing, but they're very similar -- and they're used in similar ways by the body. The dextrose molecule is one of the most ubiquitous in nature. More commonly called glucose in the scientific literature, dextrose is a monosaccharide, meaning it's made up of a single sugar ring. It has the chemical formula C6H12O6, and is a carbohydrate. It can occur on its own or be combined into larger molecules, either with additional units of dextrose -- resulting in larger carbohydrates like starch and fiber -- or with units of other monosaccharides. Sucrose is an example of a molecule that contains dextrose, chemically combined with another monosaccharide -- namely fructose. The sucrose molecule is therefore a disaccharide, meaning it's made up of two sugar units. It has the chemical formula C12H22O11. Because sucrose contains both dextrose and fructose -- and because fructose is much sweeter than dextrose -- sucrose is somewhat sweeter than dextrose to the human palate. It goes by the common name table sugar. You don't have to digest dextrose when you consume foods that contain the sugar; instead, your small intestine can absorb dextrose directly into the bloodstream. Sucrose, on the other hand, is too large for you to absorb. Instead, you digest it using the enzyme sucrase in the small intestine and absorb the resulting monosaccharides. Once in the bloodstream, dextrose units from sources of pure dextrose and dextrose units from sucrose act identically. 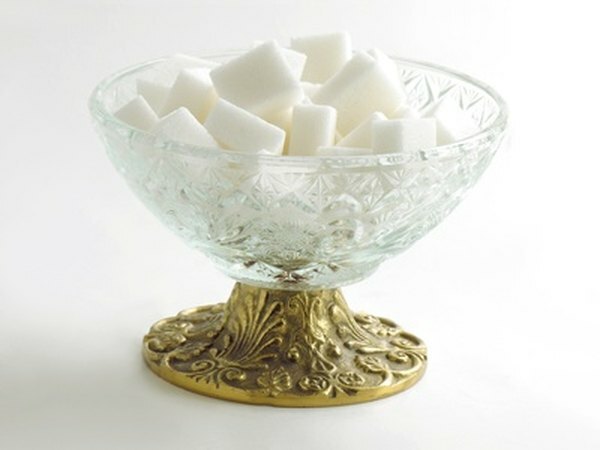 You can do several different things with dextrose and the digestion products of sucrose once they make it into your cells from your bloodstream. You can burn them for immediate energy, convert them into glycogen, or convert them into fat. Glycogen is a carbohydrate you store in the liver and muscles; it provides extra blood sugar when you're running low. Fat is for longer-term energy storage, and is also a very dense and lightweight mechanism of storing energy.